Use IRI NextForm and its Eclipse GUI for data replication. Connect to disparate data sources, select the contents you need, and copy those field values to one or more targets, in the same or different formats. This dialog can be invoked in NextForm data migration job wizards, or independently from any existing script in the IRI Workbench. 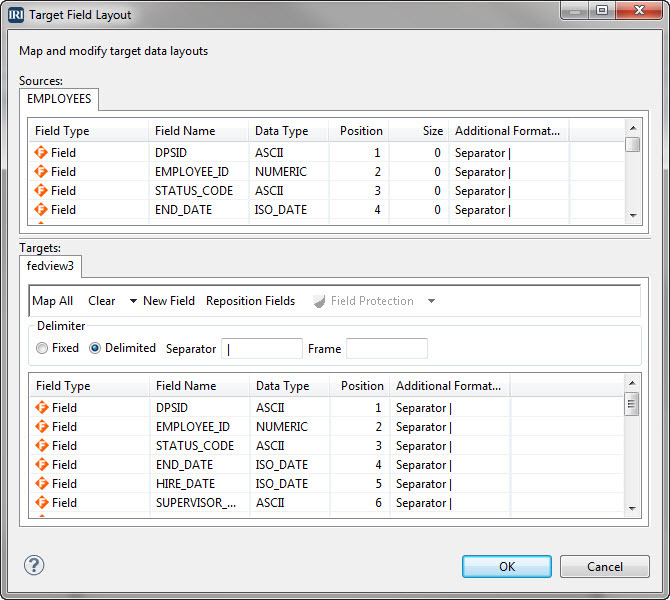 Easily add sources, targets, and field-level manipulations in the GUI dialogs or directly in your job scripts.